So after five rounds of the most intense rugby ever seen in Six Nations history, it all comes down to Super Saturday. With four teams still mathematically able to win the championship, the final round is gearing up to be the most exciting ever seen. 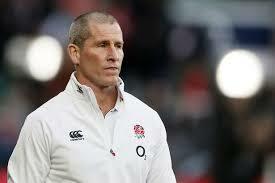 So who will prosper and be crowned Six Nations champions 2015? 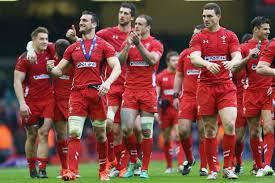 Will Wales be celebrating come Saturday evening? Fresh from their astonishing victory over the Irish in Cardiff, Sam Warburton leads his side out in Rome with the tantalising prospect of becoming champions once again, still possible. Champions in 2012 and 2013, Warren Gatland deserves credit for lifting his team from the despair of losing to England in Round One, to three impressive victories that have put them back in the hunt. Over the tournament this Wales side have improved with every performance, culminating in defeating an Irish side who came to Cardiff in pursuit of a possible Grand Slam. A tireless defensive effort led by the likes of Warburton and Luke Charteris saw Wales stop the Irish juggernaut in its tracks and in the process threw this great tournament wide open. With injuries in the front-row to both Gethin Jenkins and Samson Lee, Gatland has been forced into changes with Rob Evans and Aaron Jarvis coming in respectively. Both players will be in for a hard slog against an Italian side, who have often proved difficult opposition up front. However, despite a narrow victory over Scotland, Italy have performed poorly this year, going down meekly to Ireland, England and France in their other matches. With their talismanic leader Sergio Parisse ruled out, victory against a strong Welsh side is unlikely. Level on points at the top with both England and Ireland, Wales’ inferior points difference means they must rack up a big win in Rome to stand any chance of being crowned champions, but with confidence soaring after last week’s win anything is possible. Can Scotland finally grab that elusive win? Pride is at stake for Vern Cotter’s Scotland side, as they head into their final match looking to avoid the ignominy of the Wooden Spoon. Having lost out in all four of their previous matches in this year’s campaign, Scotland face an Ireland side still hurting from their Grand Slam dreams vanishing in Cardiff last week. With both sides coming off the back of chastening defeats, expect a fiery start to what is likely to be a brutal test match. Joe Schmidt’s side may not be able to win the Grand Slam, but are still capable of defending their 2014 crown with another championship triumph this year. To do that Ireland will be looking to the likes of Paul O’Connell and Jonny Sexton to lift their teammates once again. For Sexton especially – poor by his own high standards in the defeat to Wales – a big performance of that we saw against England in Round three is needed if his side are to take the title. However, it won’t be easy against a Scottish side determined to give their fans something to cheer at last. Cotter will once again look to the talented young fly-half Finn Russell, whose performances have been one of the few highlights for Scotland this season. If Russell can produce the same spark that threatened the French and Welsh in the earlier rounds, then Ireland may be in for a rough ride at Murrayfield. The final game of this year’s championship and one of the most eagerly anticipated fixtures in world rugby. ‘Le Crunch’ has often delivered drama and with both sides still capable of winning the tournament, this year’s match should be no exception. For Stuart Lancaster’s England side, three consecutive second-place finishes have whetted the appetite amongst a very talented group of players. Having recovered from their horror show in Dublin, to eventually put away a stubborn Scotland side, England head into this final weekend in pole position to grab the title, given their superior points difference to both Ireland and Wales. However, a comprehensive victory in Rome in Round four means that France travel to London with the most improbable chance of lifting the championship trophy. With Ireland, England and Wales all locked on the same number of points, France will need both Italy and Scotland to do them favours in the earlier games, if they are to stand any chance of winning this year’s tournament. With British and Irish Lion Geoff Parling returning to bolster what was already a very strong English pack, England go into this match as favourites and determined to avenge their last-gasp defeat in Paris last year – which subsequently cost them both the title and a possible Grand Slam. For France, injury to fly-half Camille Lopez means a call-up to the starting side for Jules Plisson, as Phillipe Saint-Andre’s side look to spoil the English party and turn the tournament on its head. Will it be fourth time lucky for Lancaster?